Since 2006, beekeepers in the United States have lost 30 to 90 percent of their colonies — and they haven’t recovered ever since. The ongoing decline in bee populations, which is experienced all over the world, has been attributed to ‘colony collapse disorder’ (CCD). This complex phenomenon is the result of many factors, perhaps as many as 61, according to one study. Over a third of our food supply depends on honeybees for pollination, so their loss could have dramatic effects on society and ecosystems at large. Besides pesticide use, habitat loss, climate change, and as most recently suggested, Glyphosate herbicides, scientists say that viruses are also among the prime drivers responsible for CCD. The Varroa mites, for instance, carry the “deformed wing virus”, which belongs to the family of Iflaviridae, so-called RNA viruses. Their genetic material only consists of one ribonucleotide strand, unlike the prevailing double-stranded DNA in mammals. When infecting honeybees, the virus causes the insects to develop deformed, non-functional wings, starving the colony. A mycologist, however, might have found a way to save the bees from the virus carried by the mites. Paul Stamets is an expert at growing mushrooms and the author of a popular book on the subject. Thirty years ago, he first noticed that bees moved woodchips in his backyard to get closer to the mushrooms’ mycelium. At the time, Stamets thought that the honeybees were looking to extract sugars from the fungi, but it wasn’t until five years ago while researching the antiviral properties of mushrooms for humans that he made a striking connection: the honeybees may have been eating mushrooms to fend off viruses. Stamets teamed up with researchers at Washington State University (WSU) and together devised a series of experiments in which they added small amounts of mushroom extracts to sugar water. The team exposed 50 bees from 30 different field colonies to the mixture at varying concentrations — and the results were simply stunning. 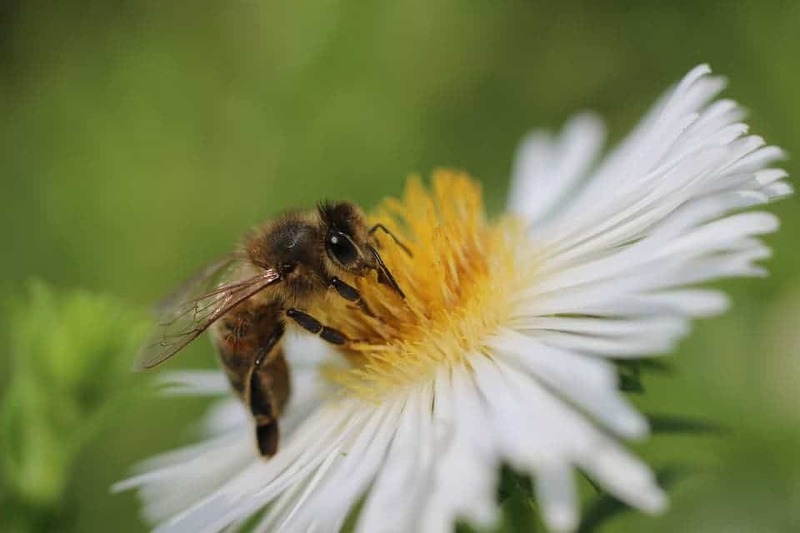 Compared to bees that were fed only sugar water, bee colonies exposed to the mycelium broth experienced a 79-fold decrease in deformed wing virus after 12 days, and up to a 45,000-fold reduction in Lake Sinai virus, which is another virus linked to CCD. The fact that experiments were made in the field, not just in the lab, make the results even more exciting. They suggest that it’s possible to develop a sort antiviral vaccine for bees that could save colonies from CCD. Stamets has now designed a 3D-printed feeder that dispenses mushroom mycelia extract and hopes that by 2019 it will become widely available to beekeepers.